Parents suggest toy retailers follow the lead of Toys R Us to better include children with autism and mental disabilities. Toy companies and children’s brands like Sesame Street are starting to create products specifically for children with autism and mental health issues. But opportunities for improvement still exist. Many of us take for granted some of our simplest experiences like going to the movies or even the toy store. For autistic children, challenges exist for such simple experiences. For families with mentally disabled children, it can be a challenge to pay for the costs. In its Too Much Information campaign, the National Autistic Society (NAS) is looking to educate the public on these issues that are often overlooked. 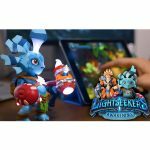 Their campaign originally started as a TV advertisement and eventually evolved into a virtual reality experience. The VR experience allowed viewers to step into the shoes of a child struggling with the disorder while walking around a shopping mall. Autistic children often are overwhelmed with the plethora of information they need to process under busy circumstances. And children have to deal with this daily even when they are at the toy store. Most toy stores today are loud, feature florescent lighting, and self-service registers – all of which can create sensory overload, according to Tom Purser from the National Autistic Society. Furthermore, the lack of public awareness can really impact their daily experiences. Toys R Us has been the leading toy retailer in terms of catering to autistic children’s needs with certain initiatives. Quiet Hours, for instance, is one of these initiatives that accommodates these children with a quieter shopping environment. Lights are dimmed and staff are ready to help with the children’s needs. It’s an effort to allow special needs children to be more comfortable when in their favorite toy store. Daniel Cadey, a representative for the National Autistic Society, stated that as far as retail store’s efforts, much more can be done for kids with these kinds of illnesses. They are just like any other kids so why not help creative a positive shopping experience for them as well. Retailers should definitely not ignore them as has been done in the past. 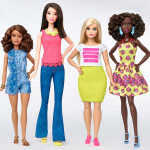 Just as toy companies promote inclusion and diversity, so too should retailers. Universally all kids want to have fun – so no kid should be left behind! So what can retailers do to better accommodate children with mental health issues? According to Louisa Mullen, a representative from the National Autistic Society, retailers can focus first and foremost on having well-trained staff in store. They should be aware of these children’s disorders and how to best deal with them to create a delightful experience. Additionally, online information should be visibly apparent so parents and their children can plan their trips accordingly and help dampen any anxiety, and last but not least – shoppers should be permitted to provide feedback on how to improve the customer experience. Ultimately, staff knowledge is the most important and employees should have the flexibility to accommodate customers’ individual needs. The National Autistic Society has an Autism Friendly Award, which incorporates some of these ideas. Companies having facilities that are accessible to autistic people are eligible to receive this award. These simple ideas can very easily be implemented across all toy retailers. At a basic level retailers can provide a quiet area, ensure staff are fully trained and dim the lights to accommodate autistic people. Social media can be also leveraged to communicate and inform shoppers that they cater to autistic children and kids with mental disabilities and present images of the store layout to enhance their shopping experience. Think of any creative ways you can add value and enhance their shopping experience. However, some parents have a different perspective. Parents of autistic children have to decide if they should encourage their children to participate in society in regular social settings or shelter them. One parent said she feels like sheltering her 11 year old boy with autism but has learned after more than 10 years that it may be in the best interest to encourage them to engage with society under normal social settings. In fact, there are products that are more effective at helping autistic children open up and interact with other children. For example, Dobble, a card game, gets kids engaged with one another, making eye contact and sitting and playing with one another. Keep in mind, kids with autism would normally avoid eye contact as well as social interaction. Duplo builds public speaking confidence and builds those fundamental life skills. Toy retailers aren’t the only ones taking notice – the entertainment world is also recognizing the difficult situation children with mental health disorders face and is taking action. Not too long ago the popular children’s television show Sesame Street introduced Julia, the first character with autism. Julia serves to educate children on how kids with autism think and act. She also is a character these kids can relate to and it makes autistic children not feel alone. Children also learn about the difficulties of being born with autism. It is all about promoting early awareness and families have been asking Sesame Street’s creators to address the issue of autism for years. Across the globe they’ve received support and gratitude for their efforts from the autism community. 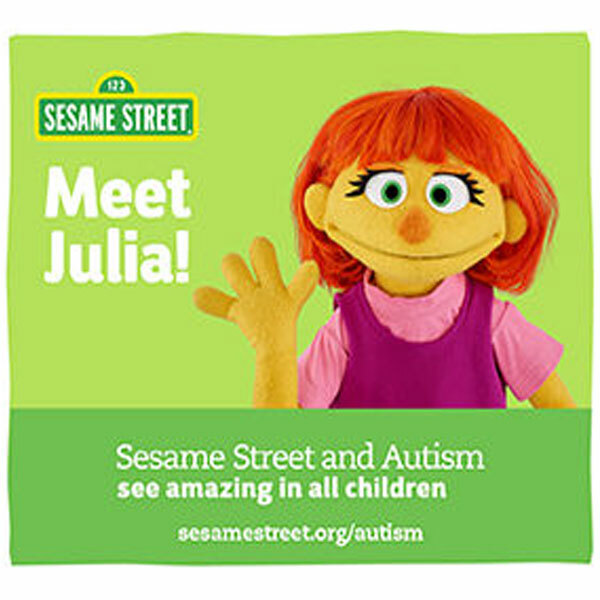 Sesame Street Workshop’s efforts with Julia are in support of families with autistic children and she has definitely made an impact and increased awareness of autism. Julia will make an appearance in all episodes from season 47 of Sesame Street. Sesame Street will remain committed to promote understanding and acceptance of autism. After all, its mission is to help all children grow smarter, stronger, and kinder. Although autism is gaining awareness in the public eye, other mental issues such as depression, OCD, and ADHD have remained in the dark. Autism is less stigmatized and understood in the mainstream today, which is great for the acceptance of this disorder. In fact, when celebrities or public figures speak out about their struggles with mental health, as is the case with Demi Lovato and Prince Harry, it increases the public’s awareness of these issues. Perhaps it is time to see the spotlight cast on some of these other unaccounted for mental health issues to gain public awareness and acceptance. As for toy retailers, the most concrete action they take is to be open and educated. Employees need to be fully trained and aware of these customer needs. They can also be flexible to their needs to deliver a delightful shopping experience. Proactive companies, such as the Sesame Workshop and the National Autistic Society, promoting awareness and understanding of these important mental health issues also serve as a great precedent for toy companies and retailers to follow. 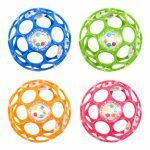 Will Spinzipz Ignite Fidget Toy Craze?